Czech golf hotels Server focuses on providing information about Czech golf hotels and golf courses located in their driving distance. All information about prices, services, special equipment and golf, spa or other of their packages. 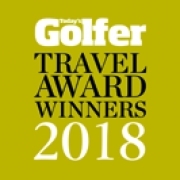 From our website you can navigate directly to the official golf hotels website. You do not pay any commission, communicate, and often communicate directly with the competent persons of selected hotels, without an intermediary. Likewise, you can move from site czechgolfhotels.com to the official sites of Czech golf resorts. In addition to Czech golf courses, you will find several golf courses located in the Czech border - you can stay in the Czech golf hotel and play in places such as Germany, Austria and the Slovak Republic. Are you interested to invest in property near a golf resort? Even now you're in the right place. In reality, see the section golf development projects and real estate agents offer in this area. In this case you are in direct contact with the seller or landlord of property. We can help you find the best hotel for your golf holiday in the Czech Republic. Choose your hotel by region. Choose a golf course by region.